Whether you want to create a new piece of art or just decide to live life a little bit different than the usual, it is going to take some courage. This quote by Henry Matisse is a great reminder to take action on that idea you’ve been thinking about. Some days don’t you just wish that wearing your undies on the outside would bring you super powers? Great news, you don’t need a disguise to live life creative, just be you, purely you. No pretending. The only thing you need is courage. And when you feel the fear try to keep you from stepping out, take it as a sign you are moving in the right direction and do it afraid. It is one thing to feel afraid it is another to be afraid. You can feel afraid and take the leap or you can be afraid and be paralised. 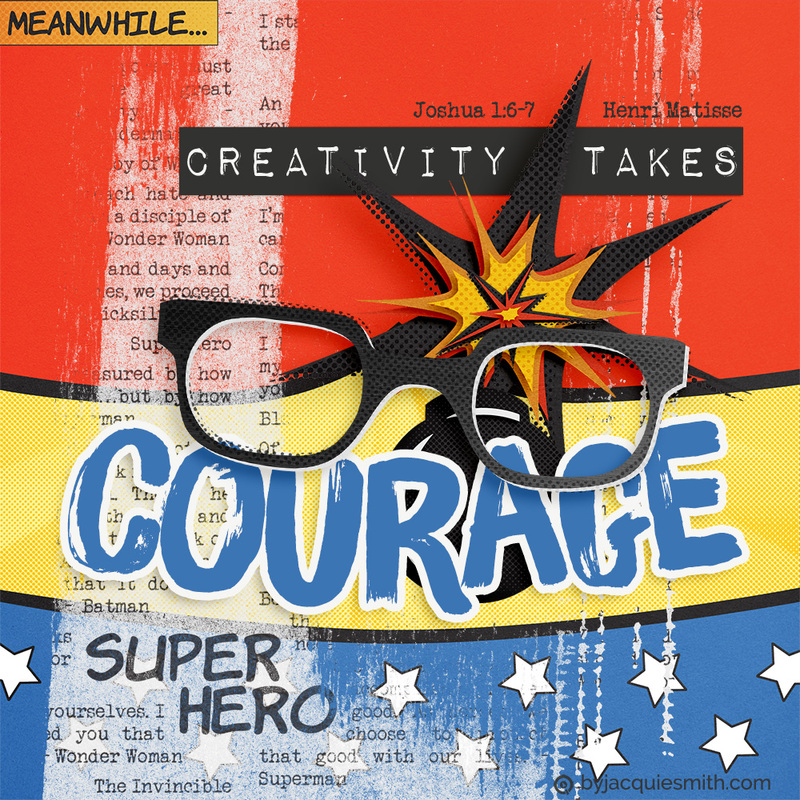 I am reminded of God telling Joshua twice to be strong (confident) and of good courage. Josh 1:6-7. The new before him must have been somewhat scary. He was also given a secret tip for success. When you next have the opportunity, be courageous, don’t be afraid. The world needs your unique gifts + talents!